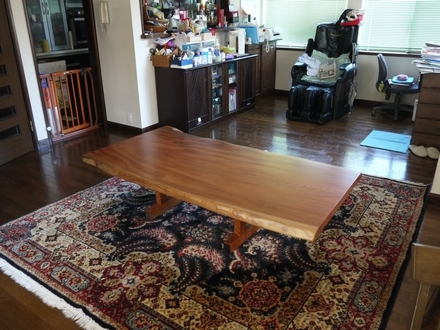 We made a delivery of a Japanese zelkova low table. The customer changed it from a dining table set to a low table. The living room seems to have become more spacious, without the chairs. 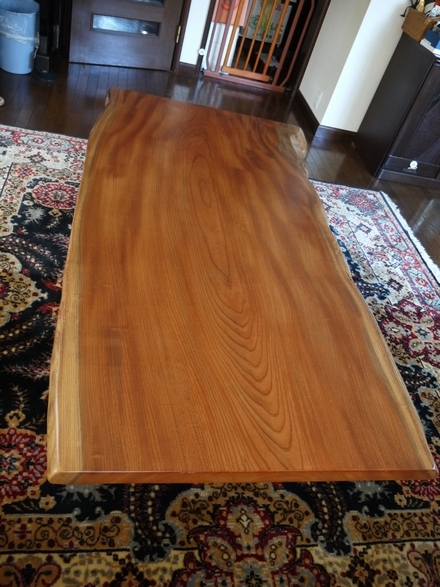 This customer used to work for Kumamoto field office and he knows a lot about wood. He said he still likes wood very much. Please see the beautiful zelkova wood grain.